The place is amazing with an amazing atmosphere at night. If you want to party, this is the place to be. The rooms are clean and so are the washroom. All the rooms are air conditioned but they gets switched off for some part of the day. Also close to all the other shacks so you can do bar hopping as well. Really enjoyed my stay at Blanco Beach, comfy beds, amazing Blanco Boat trip and the location is great for if you want to party. My only criticism is the lack of free drinking water! I found on the island this was an issue in many of the hostels, which meant that everyone was buying new plastic bottles every day. If more hostels on the island had drinking water so we could refill our water bottles I’m sure the environment would thank us!! Great party hostel, obviously it’s loud but it’s expected. Blanco boat party was so much fun! Apple is the best! If you want to be in the centre of the party then this is a good place to stay, loud music and decent atmosphere until 1am. 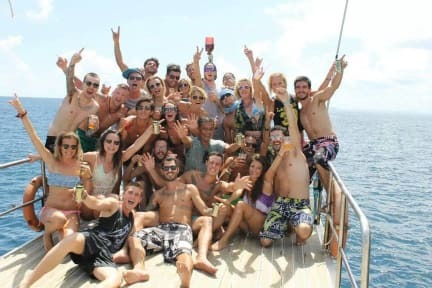 Do the blancos boat party as that’s a great way to make friends and see the beauty of the islands. Only issue was he security here is a bit dodgy as things to do missing, but this is most likely drunk tourists so not necessarily the hostels fault. Beds weren’t as bad as I expected either, but the air con wasn’t great. by far the most unclean place I have ever witnessed in my life, after 1 night we left. 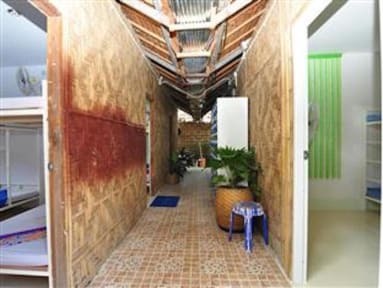 The rooms are smaller than a hamsters cage leaving you with nowhere to put your belongings. The smell oh my god it smells like dirty bins and toilet everywhere. No bin or mirror in your room, urinals for men are located outside bedrooms which makes the entire hostel smell. Dirty bathrooms, dirty toilets, bar very boring hostel always looked closed. Staff are miserable as sin. Would not recommend to anybody!